A remarkable exchange indeed, and a most illuminating one. Those Republican allies who must always stand with the president, such as House Speaker Paul Ryan, offer only the most standard praise and defence of Trump’s behaviour, and avoid any mention of the indefensible. Senator Corker’s passage, then, is a breath of fresh air: an honest account of what Republicans actually think of their president. But it is also a worrying account. The United States of America currently has a president who treats the presidency as a reality show who must be “contained”. 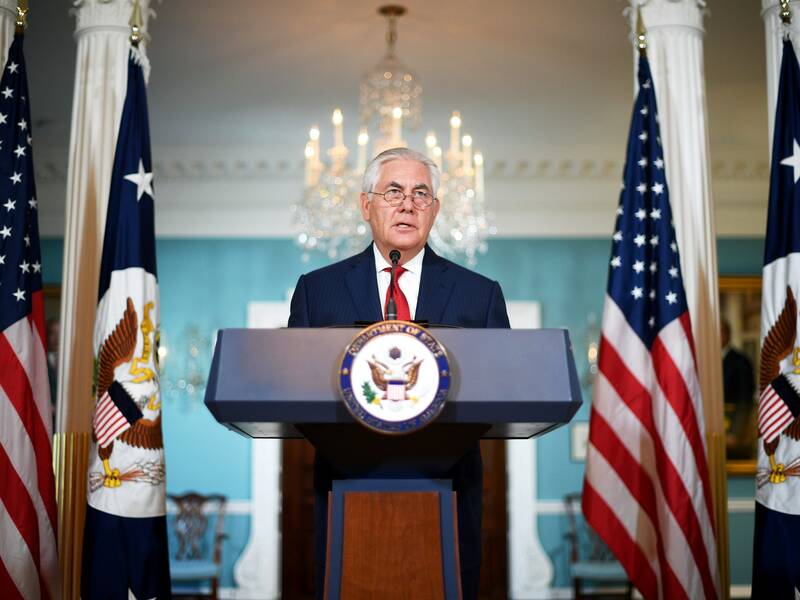 When asked about the report that Secretary of State Rex Tillerson called Trump a ‘moron’, Corker merely said that Tillerson, along with Secretary of Defence Jim Mattis and chief of staff John Kelly, were helping to “separate our country from chaos”. They, in effect, are serving as the nannies to the child in the Oval Office. It is distressing enough that the leader of the free world needs daycare in this fashion. What is even worse, however, is the doubtful level of effectiveness that this parenting has on actually reining in Trump. Let us take Secretary of State Rex Tillerson as an example. He has most recently been in the spotlight after reports surfaced that he called Trump a moron. The secretary of state was forced to hold a press conference affirming his loyalty to the president, but most notably, he did not deny that he had said Trump is a moron (Trump, predictably, reacted to this refusal of denial with fury). It would hardly be surprising, however, if that is truly what Tillerson feels towards Trump, for a greater contrast between personalities is difficult to imagine. One, a Texas oilman who ran one of the world’s largest companies, is now constantly undercut and undermined by a failed businessman more interested in branding than actual profit. When Tillerson announced that he was willing to look into talks with North Korea, Trump tweeted that the secretary should not even bother. Additionally, a whole slew of responsibilities for foreign policy has instead been assigned to Trump’s son in law, Jared Kushner. The distinct image that has emerged is that Tillerson does not speak with the president’s voice on foreign policy: a fatal blow for a secretary of state, whose success depends on whether allies and adversaries believe he has true authority to act as he sees fit. To say that Tillerson is capable of containing Trump, then, seems to be inaccurate. If anything, Trump is consistently boxing Tillerson’s diplomatic capabilities, and the worsening personal relationship between the two men mean that Trump is unlikely to take Tillerson’s advice. Chief of Staff John Kelly, who recently moved from the Department of Homeland Security to the White House, is likewise struggling to contain the president. Initially, it was believed that the retired general would be able to impose military discipline on the chaotic Trump White House, and reports showed that the general was certainly attempting to put some order in the chaos. Access to the Oval Office began to be restricted. Unreliable news reports were to be excluded from Trump’s daily reading. Calls from Trump’s business friends were to be limited. What Kelly discovered that he could not control, however, was Trump’s tweeting, and this has allowed the 45th president to continue to run into self-manufactured crisis after self-manufactured crisis. Nor could Kelly control what the president said in his speeches, culminating with a string of tweets and a speech at the UN about the “little Rocket Man” in North Korea. 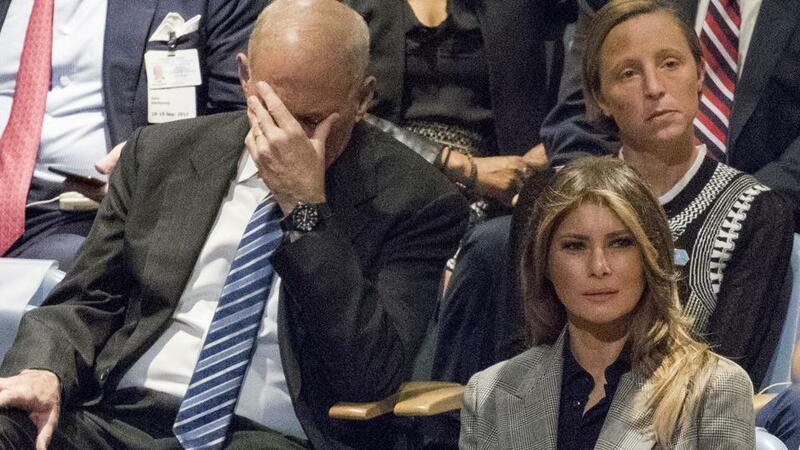 When photos emerged of Kelly facepalming during Trump’s speech, few were left in doubt about what made him so disappointed. So when Senator Corker talks about the nannies who separate the United States from chaos, at least two of the three he refers to is ineffective in their quest to control the president. The third, General Mattis, whom Trump respects, poses a different problem altogether. Reportedly, Mattis was caught unaware when Trump tweeted his order banning transgender people from the military. Mattis, who did not agree with the move, refused to take any action until the order was made formally, and now it appears that the directive will be watered down significantly. While this does show that at least one of Trump’s nannies is able to control him, it also raises the question: is democracy in the United States not founded on the notion that the civilian government must control the military, not the other hand around? What does it mean, and what precedent does it set, for both retired and active members of the military to be refusing to recognise presidential authority? Until the majority of the Republican Party is willing to look beyond party lines and recognise that the president is a child and is doing substantial damage to the country, nothing will change. It is a shame that only a politician like Bob Corker, who is now freed from running in any more elections, is willing to confront the reality of the situation. The question must be raised: what if the roles were reversed? What if it were President Obama who tweeted about little Rocket Man and feuded with Lebron James while Puerto Rico was without electricity? Surely impeachment proceedings would have started by now? It is stunning the degree to which tribalism can run in politics. But until Republicans come to their senses, every day, the world runs the risk of accidentally sparking a major diplomatic crisis, or a war. Every day, the United States is forced to deal with a chief executive who does not understand the gravity of his office, who cannot deal with crises both of and not of his own making. And there is so little hope that Republicans will ever come to their senses. Will Paul Ryan or Mitch McConnell will ever put country ahead of party? That could just as well simply be a rhetorical question. As such, there is no solution. Donald Trump is a force that cannot be controlled. His actions are too impulsive, his feelings too childish, for even the most intelligent members of the government to try to constrain. Instead, his cabinet is left every day to conduct damage control. The White House is a daycare center, but one where despite supervision the child might still smash the windows, break his bones and eventually burn the house down with him.